User Experience (UX) testing is all about how we learn what users are doing on a website. Tracking everything from where they scroll to missed clicks, UX can help us recommend iterations to a site that adds up to a change in the way users behave. Digging deeper into different areas of the site can also complete different objectives. Ecommerce sites specifically want more of the people who visit the site to buy. When trying to encourage more people to buy, a similar technique called Conversion Rate Optimisation (CRO) is used. More ‘conversions’ equates to more sales. More sales equate to more money and more smiley faces all around. 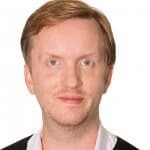 If UX is making the site more functional and easier to use, whilst CRO is fixing common conversion issues, then when combining these two together it can make for a formidable website. What does your current website convert at? If it’s less than 7% then you’re either in need of a UX & CRO combo or you’re selling a very high end product that only a handful of people will buy! 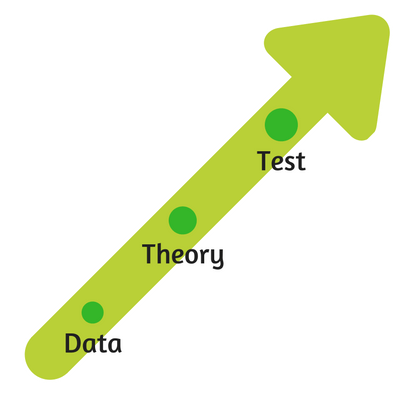 Data and testing is absolutely critical to any successful UX campaign. Without data then its just ‘finger in the air’ and that’s only one person’s opinion. Seeking out patterns within the behaviour of 1000s of visitors to your site will allow you to make confident decisions as to what to adapt and why. Once your theories have been created, test the life out of them. Make sure that there are enough people that have seen the change to know that this is the right change to make! Some sites that generate hundreds of thousands of transitions per day can benefit tremendously from UX and CRO. Imagine a site that generates 10000 transactions per day and each transition is worth £100 with a conversation rate of 1%. That’s a total of 100 sales per day, or £10000 in revenue. 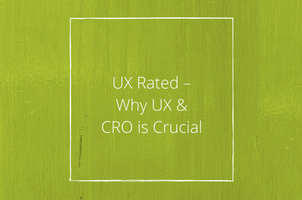 If the conversation rate is increased to 2% then that’s an increase in £10000 revenue per day!CRO is absolutely critical to the operation of a website and without it, there’s a huge amount of locked potential that can be unleashed. Contact our solution team today to start optimising your CRO 020 3813 5351.